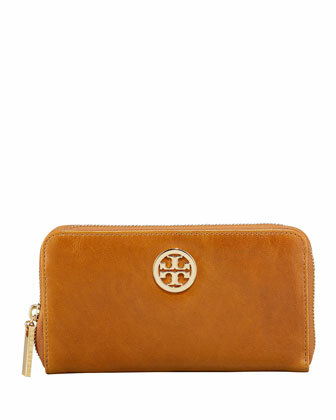 I've been searching for the perfect wallet for myself and I’m thinking that this Leather Continental zip wallet by Tory Burch looks awesome. I’ve been used to the 2-fold wallets and this time I wanted to own a zip wallet. It got lots of card compartment and even coin slots. Looks pretty spacious and I know my bills will be organized. I have to see if my cousin in LA can get me this next year. Saw this at Neiman Marcus and it costs $195 and available in black and tan. I’m loving the tan color since I already have lots of black ones.